The last year has seen more happen in conscious defiance of genetically modified food and its associated chemicals than perhaps the last 20 combined. After a slow start, humanity is awakened, activated and taking no prisoners. There are now blueprints in place from individuals, communities and states to easily follow and replicate on the way to running GMOs and their chemicals out of American communities. Thanks to the initial trailblazers doing the leg work and absorbing the full force of attacks from challenging monopolistic agrochemical giants, the fruits of their labor are ours to cherish and utilize. This has given the green light for each county throughout the United States to replicate their own local measures immediately as the dominos continued to fall in favor of preserving crop biodiversity, human health and the food supply at large. As the people of Maui have have found, like their extended Hawaiian family in Kauai and Hawaii did previously, the courts and political system are often not stacked in their favor. After The People of Maui voted for a moratorium on pesticide and herbicide testing in 2014, the legally stalled and corrupted court case has now ended with Judge Susan Oki Mollway ruling against her island family’s simple request. 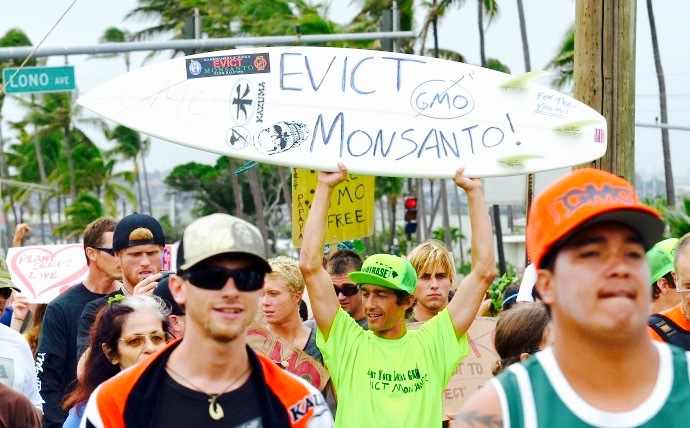 It appears at this juncture an equal mix of local organic farming mixed with collective legal action will provide the slow working poison needed to phase out the failed GMO experiment from the Hawaiian Islands. Resistance to the coming paradigm shift to non-GMO & non-chemical farming appears only to be coming from a questionable legal system and an alternative to replace the secure agrochemical salaries given to locals.